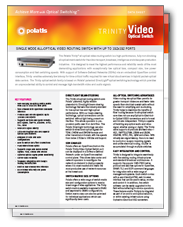 The Polatis Trinity™ all-optical video routing switch is a high-performance, fully non-blocking all-optical matrix switch for the video transport, broadcast, intelligence and video post-production industries. It is designed to meet the highest performance and reliability needs of the most demanding applications with exceptionally low optical loss, compact size, low power consumption and fast switching speeds. With support of Software-Defined Networks (SDNs) via an embedded OpenFlow control interface, Trinity enables extremely low latency for time-critical traffic required for new virtual cloud services in hybrid packet-optical data centers. 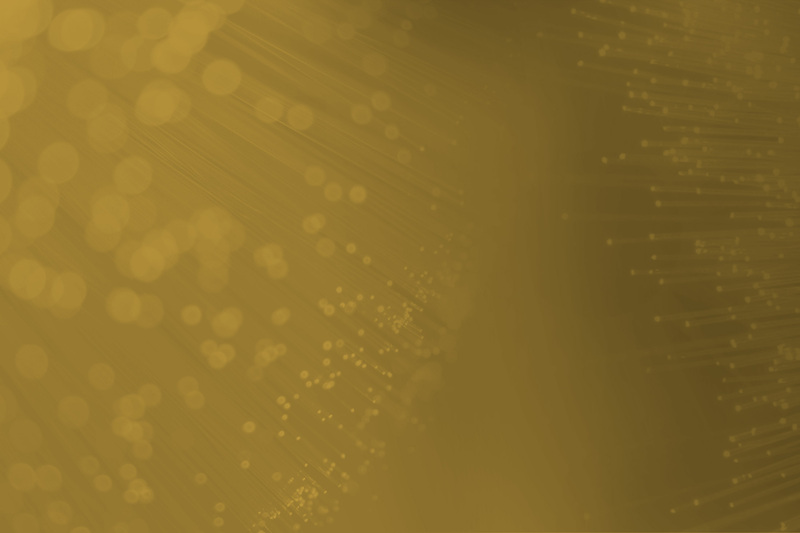 The Trinity optical switch family is based on Polatis' patented DirectLight® optical switching technology which provides an unprecedented ability to control and manage high-bandwidth video and audio signals.